May I say "Hooray!" I have my first official finish for 2019. 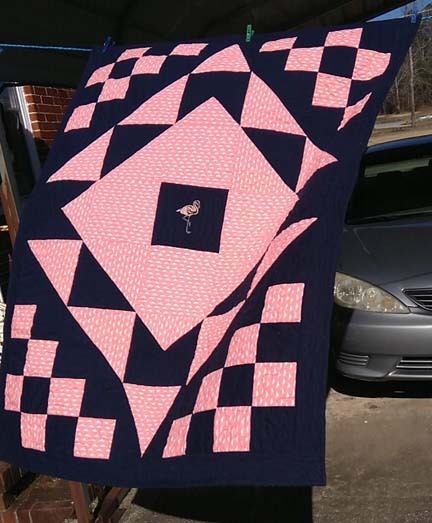 The Flamingo quilt is bound. We took a trip out into the cold wind for a photo session. 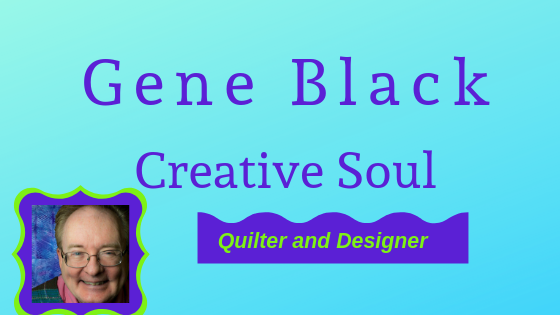 The wind was blowing and it appeared that I would not get a good shot of the quilt. But then, this isn't a bad photo of it. I persevered and got a photo of the back with it hanging reasonably straight. I love the wild stripe of pieced fabric. I simply used the extra parts from the front. 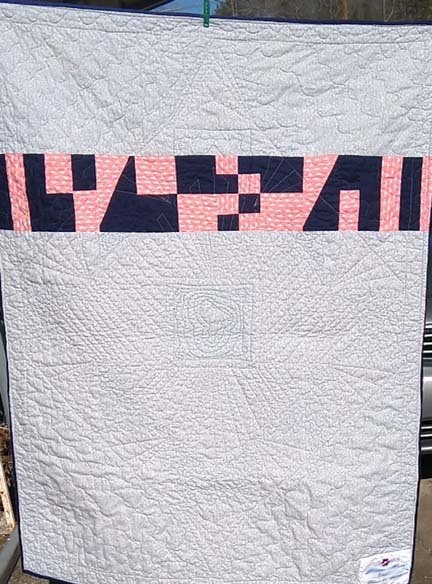 The quilting also shows up pretty well in this photo. I did a loose echo around the embroidery, bit of ruler work and finished off with some meandering and wavy lines. Then I finally got a good photo of the front of the quilt. Notice that BLUE sky at the top of the photo. That is so welcomed after several drab gray days. Gene, that is one beautiful quilt. Love it! Very cool and beautiful! I can’t imagine doing all that FMQ. A treasure! Wow, this turned out so nice, Gene. I love the backing too! I love the Flamboyant Flamingo! It makes think I should be in FL escaping the impending snow doom for the weekend. What a fabulous quilt for the New Year....love it. Love the wind blowing shot! 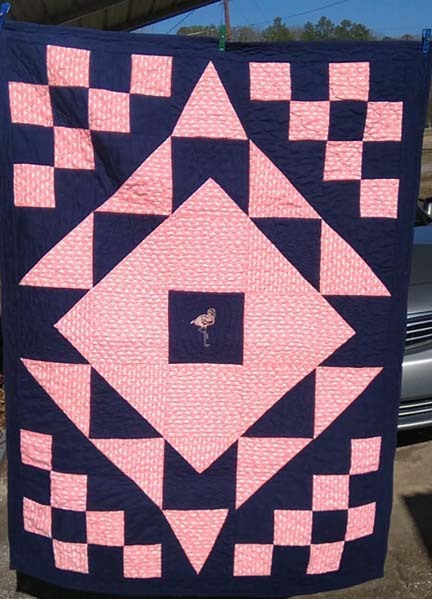 The quilt is adorable too! The blue sky yesterday was so welcomed around here too. Good finish for the new year.